Welcome to The Sundance Spa Store in Oakville, Ontario. 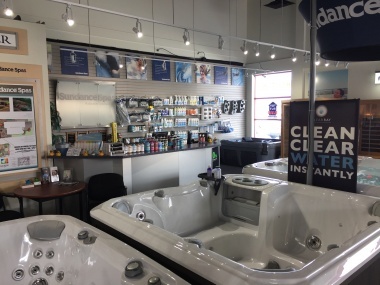 The Sundance Spa Store has been selling and servicing Sundance Spas in the town of Oakville for 13 years now. The Sundance Spa Store Oakville opened in 2006 on Trafalgar Road, and was our second location at the time following the opening of our first location in Burlington, Ontario in 2003. We had already established great relationships with Oakville residents who took the time to visit and purchase from our Burlington store. Opening our second location in the great town of Oakville was an easy transition and a community we very much wanted to be in and a part of. The town of Oakville has a strong sense of core family values, is a great place to raise a family and a beautiful town to be a resident of. Our Sundance Spas & Finnleo Saunas are the perfect fit for the residents of Oakville and lifestyle everyone desires. Sundance Spas and Finnleo Saunas promote health, wellness, rejuvenation, relaxation, a better nights rest, pain relief and family time just to name a few. We have been lucky enough to be a part of this wonderful tight-knit community for almost 15 years now and look forward to many more. Sundance Spas has been building, designing and engineering hot tubs since 1979 and is one of the first and oldest hot tub manufacturers in the world. Sundance Spas is an industry leader and award winning manufacturer, who have constantly been on the cutting edge of hot tub technology and have innovated many industry firsts that have helped define the modern hot tub. Finnleo have been a leader in the Sauna industry since 1919. We are proud to be authorized dealers for these 2 industry leading manufacturers. Best of all, our Sundance Spas hot tubs and Finnleo saunas are also priced to sell with discounts and regular rebate programs on offer including great finance rates. The Sundance Spa Store Oakville is located in the Canadian Tire & Longo's Plaza at the Corner of Trafalgar & Dundas. We are just steps away from the Canadian Tire Automotive Center, you can't miss us! This boutique showroom stocks & displays a wide variety of Sundance Hot Tubs & Finnleo Saunas. We also carry chemicals & accessories and we offer preferred discounts for all clients who frequent the Oakville hot tub store. Regardless of the brand of hot tub you own, we can provide a line of chemicals to help you manage all of your hot tub water maintenance needs. We also offer free water testing, please feel free to bring in a sample of your hot tub water anytime for free water testing. Choosing a Sundance® hot tub means getting our exclusive, patented Fluidex jet design that lets you adjust the water flow from oscillating to steady flow all without moving parts that can clog and wear out. Plus our Ultra Violet ClearRay Water Purification System significantly lowers the amount of chemicals needed to maintain your hot tub and saves you valuable time and money. Plus with our SmartTub feature you can now monitor and control your hot tub from your phone, get reminders on filter cycles, water maintenance schedules and tips on hot tub operation. 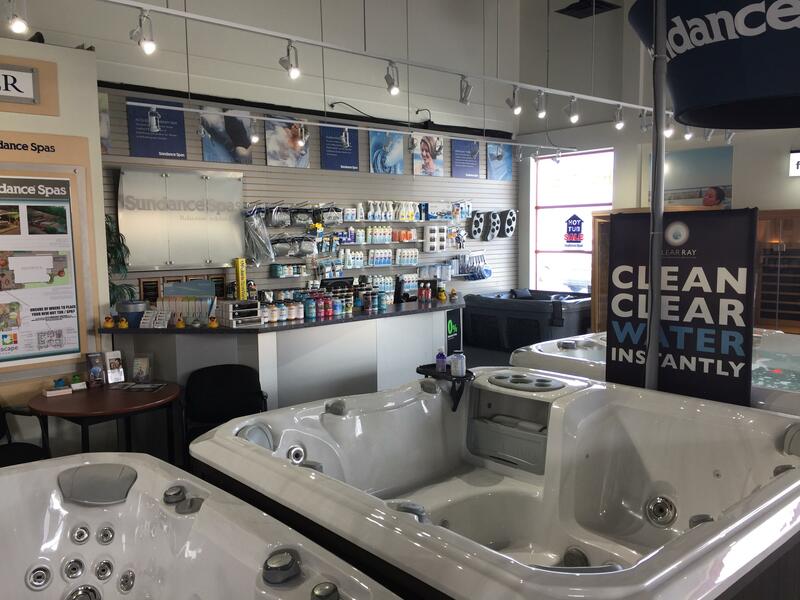 At The Sundance® Spa Store Oakville, our staff is dedicated to helping you find the very best hot tub and sauna in the marketplace all backed up by the best warranties.